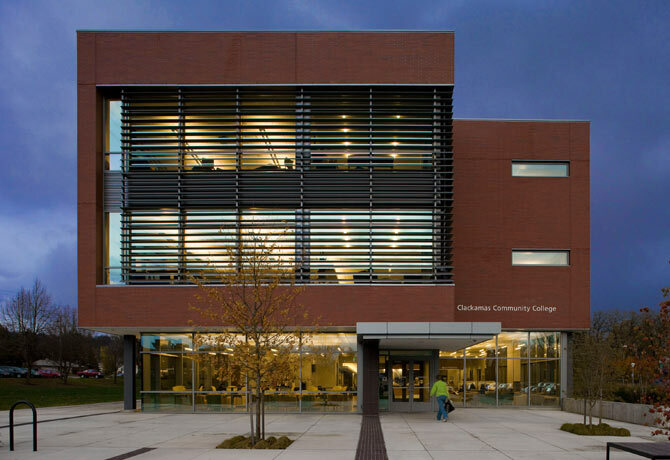 Clackamas Community College (CCC) is a community college located in Oregon City, Oregon, United States. Founded in 1966, it is one of the largest community colleges in the state of Oregon, serving the needs of a large variety of students. Clackamas Community College offers three campuses: the central campus of Oregon City, Harmony Community Campus in Clackamas, and the Wilsonville campus. Extension sites are also located in the towns of Canby and Molalla, where CCC offers English as a Second Language, GED in Spanish, computer science and plenty of community education classes. Clackamas Community College is accredited by the Northwest Commission on Colleges and Universities (NWCCU). Programs at Clackamas Community College are approved for the education of veterans. CCC provides programs and courses in academic transfer, career and technical education, workforce development, business training and development, literacy/basic skills, and community education. In 2009-10, CCC served more than 38,000 students and had approximately 8,900 FTE (full-time equivalent students).